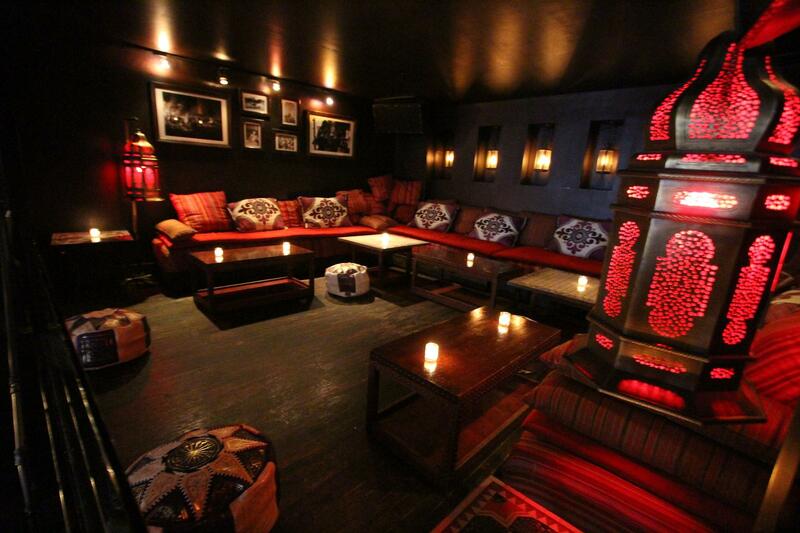 Rent Katra Lounge | Corporate Events | Wedding Locations, Event Spaces and Party Venues. Katra can accommodate an intimate reservation for ten or parties as large as 350 guests. The transition between lounge and restaurant makes socializing or your company’s next holiday gala perfect.With 5,000 square feet to spare, this bi-level venue is equipped with 2 fully stocked bars. Designed by the infamous Lesly Zamor, KATRA is based on the inspirational beauty of traditional Middle Eastern sophistication. From stunning tapestries by Berber village artisans in the Atlas Mountains to handcrafted lighting fixtures and uniquely designed sculptures, KATRA truly disguises conventional New York City with its attention to time- honored detail. Relax on the sleek couches in our semi-private booths or socialize in our spacious lounge. For parties of three to 300, KATRA is the place your friends, guests and co-workers will never forget. Whether you venture out for an after work outing or an evening on the town, KATRA will fill your cultural craving in a culinary journey with signature dishes. For friends more keen on the indulgence of libations, our signature menu offers one-of-a-kind cocktails. Katra Sit Down is 65 people per floor.